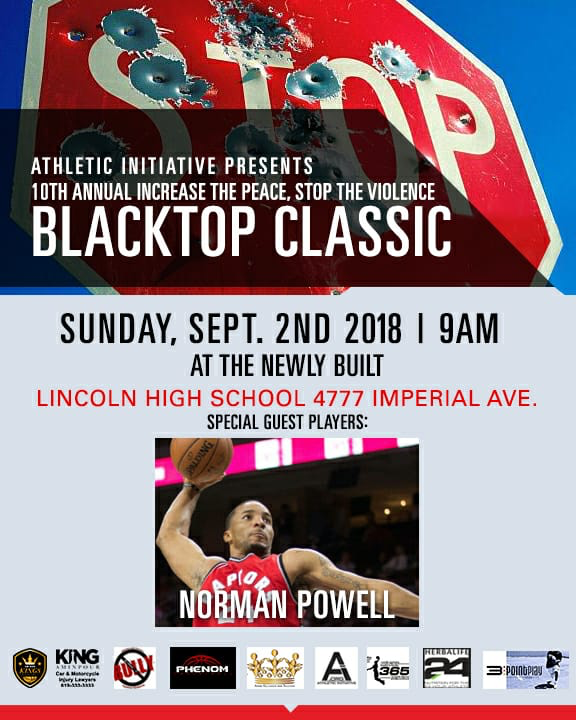 The 10th annual Increase the Peace Stop the Violence Blacktop Classic will be September 2, 2018 at Lincoln High School. 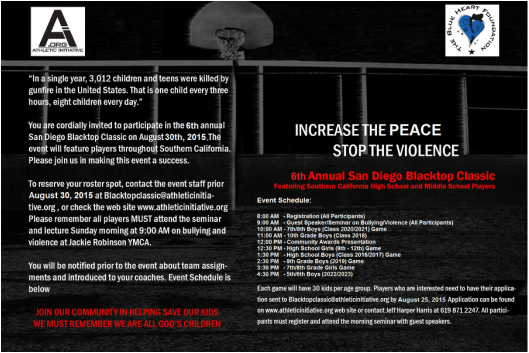 This event brings in kids from all over the county to play exciting Ruckers Park style basketball. The morning session has guest speakers inspiring our community about how to stop violence and bullying in our schools and community. 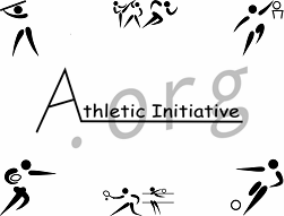 Get your neighbors together to raise awareness of bullying and violence in our schools and communities! 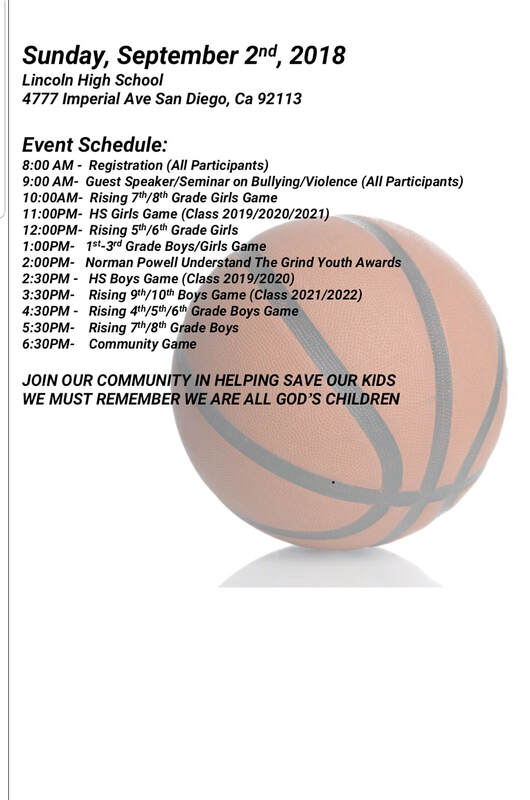 Guest speakers will engage famikies in discussions about keeping our community safe and everyone in attendance is asked to sign the anti-bullying pledge to stand up against bullying in their communities, neighborhoods and schools.